You are what you eat. . . or at least what you eat can eat your teeth! If you want to prevent cavities, how often you eat can be just as important as what you eat. That's because food affects your teeth and mouth long after you swallow. Eating biscuits with dinner will do less harm to your teeth than eating them in the middle of the afternoon as a separate snack. Of course, overall poor nutrition can contribute to periodontal (gum) disease and can have other long-term effects on your mouth. Learning how food affects your oral health long-term and short-term is the first step toward mouth-healthy eating. Changes begin in your mouth the minute you start to eat certain foods. Bacteria in your mouth make dental plaque, become more acidic, and the acid starts the process that can lead to cavities. How does this happen? All carbohydrate foods eventually break down into simple sugars: glucose, fructose, maltose and lactose. Some foods, called fermentable carbohydrates, break down in the mouth, whereas others don't break down until they move further down the digestive tract. It's the fermentable carbohydrates that work with bacteria to begin the decay process and eventually destroy teeth. They include the obvious sugary foods, such as cakes, biscuits, soft drinks and sweets, but they also include less obvious food, such as bread, crackers, bananas and breakfast cereals. Certain bacteria on your teeth use the sugars from these foods and produce acids. These acids dissolve minerals inside the tooth enamel in a process called demineralisation. This occurs every time you eat; the pH drops into the acidic zone and demineralisation takes place. In a healthy mouth, soon after eating, buffering agents in the saliva and specific bacteria help to raise the pH again and minerals reform in the enamel in a process called remineralisation. Because the calcium and phosphate minerals in enamel are dynamic, it's important to keep the mineral loss to net zero. Dental decay begins inside the tooth enamel when minerals are being lost faster than they are being regained. The longer food stays near the bacteria on the tooth, the more acids will be produced. So sticky carbohydrates, such as raisins, can do more acid damage. But other foods that pack into crevices can also cause decay. Potato crisps are a terrific example. Eat a handful of crisps and see how long you have to work to get all the stuck bits out from between your teeth. Teeth with a lot of nooks and crannies, such as molars, are more likely to trap food and are more susceptible to decay. To make matters worse, tooth-unhealthy foods don't create acids on your teeth only while they are being eaten. The acids stick around for the next half-hour. People who sip soft drinks or sweetened coffee throughout the day, or who eat many small sweet or carbohydrate snacks, provide a sugar source for the bacteria to produce acid almost constantly. And because acid damage is cumulative, decay is more likely. Studies have shown that those who eat sweets as snacks between meals have higher incidences of decay than those who eat the same amount of sweets with their meals. On the brighter side, some foods actually help to protect teeth from decay because they increase saliva flow and neutralise the acids produced by bacteria, making the enamel less likely to be demineralised. For example, mature cheese eaten immediately after other food helps buffer the acid. That's another reason why eating sweets between meals causes more cavities. Between-meal snackers not only have an overall longer period when their teeth are exposed to acid, they don't eat other foods with the snack to moderate the effects of the sugar. Sugarfree chewing gum can also help protect your teeth against cavities. Xylitol, an ingredient in some sugarfree gums, has been shown to reduce the amount of bacteria in the mouth and help buffer the teeth against the effect of acid. Most sugarfree gums and sugarlfree sweets increase the flow of saliva, which has natural antibacterial properties. Like the rest of your body, your mouth depends on overall nutrition to stay healthy. In fact, your mouth is highly sensitive to poor nutrition, which can lead to premature tooth loss, serious periodontal (gum) disease and bad breath. 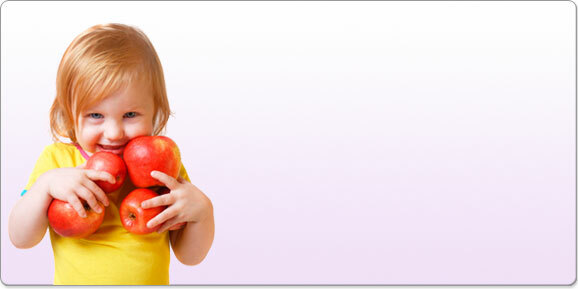 Many nutritional problems will affect the mouth before the rest of the body. This is because the cells in the lining of the mouth, called the oral mucosa, are being created and destroyed. In some areas of the mouth, cells completely turn over, with a whole new group of cells taking the place of old cells, in forty-eight hours. Eat whole grains daily, such as brown rice, oatmeal and whole wheat bread instead of refined grains such as white bread and white rice. To help people understand these guidelines, the USDA has replaced the old Food Guide Pyramid with a new, interactive tool called MyPyramid. The new tool is actually many different pyramids customised for a person depending on age, gender and physical activity. The tool can be found at www.mypyramid.gov. Your diet, like the pyramid, should have a strong base of grains; at least 20oz (565gms) of vegetables a day; at least 16oz (450gms) of fruits a day; at least 24oz (675gms) of calcium-containing milk, yogurt and cheese; and proteins such as meats, beans, eggs and nuts. Eat fats and sweets sparingly. Limit between-meal snacking to reduce the amount of time your teeth are exposed to acid. If you snack, choose foods that are not fermentable carbohydrates. Best choices: cheese, chicken or other meats, nuts or milk. These foods may actually help protect tooth enamel by counteracting acidity or by providing the calcium and phosphorus needed to remineralise teeth. Moderate choices: firm fruits like apples and pears and vegetables. Although firm fruits contain natural sugars, they have a high water content that dilutes the effects of the sugars and they stimulate the flow of saliva, which has antibacterial factors and helps protect against decay. Vegetables do not contain enough carbohydrates to be dangerous. Worst choices: sweets, biscuits, cakes, crackers, breads, muffins, crisps, chips, pretzels, bananas, raisins and other dried fruits. These foods provide a source of sugar for certain bacteria on the teeth to produce acid. The problem can be worse if the foods stick to or get caught between teeth. Limit the amount of soft drinks or any other sugar-containing drinks, including coffee or tea with added sugar, cocoa and lemonade. Fruit juices contain natural sugars that can also cause decay. Limit the amount of time you take to drink any of these drinks and avoid sipping them throughout the day. A can of fizzy drink finished with a meal is better than a can sipped over two hours, because your teeth are exposed to high acid levels for a shorter amount of time. Very acidic foods (such as citrus fruits) can make the mouth more acidic and may contribute to tooth demineralisation and erosion. The effects of acid exposure are cumulative, so every little bit counts. Brush your teeth after eating to remove the plaque bacteria that create the destructive acids. If you cannot brush after every meal, brush at least twice a day to thoroughly remove all plaque bacteria. Chewing sugarlfree gum that contains xylitol can help reduce the risk of cavities. It not only helps dislodge some of the food stuck to your teeth, it also increases saliva flow to help buffer the acids.